Making calles over the internet, so called "Voice over IP" (VoIP), is not an easy business. Cheap mobile phone providers and goverment regulations makes it hard for VoIP services to build their own business idea and make its products applicable to the public. A Vienna telco startup called Toolani will try this challange with their new "Forfone" application. On their homepage the present their offer to be better than Skype, because they offer additional features known from other popular smartphone apps like Viper and WhatsApp. Forfone was founded by Michael Schöpfer and raised 500.000 Euro investment capital. Forfone is available for Android and iPhone, and can be used without registration. You can call and SMS other App user for free. Your own mobile number will be send as addressor, which allow dirct ansers to your SMS. For regular calls to no user you have to pay a small fee. 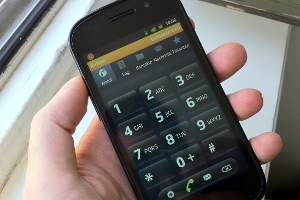 Calls to German telco provides are charged with 9 cents per minute. Users from Germany will gain a 100 minutes free call service. The application can be used via WiFi or 3G. The application is at an early stage and includes several technical issues due to the current date. The voice quality is not the best and developers will have to work on this small issues the next few weeks, to ensure a serious alternative to Skype.